More than twenty years after the ushering in of a democratic order, South African universities remain complicit in driving colonial ideals through curricula (de Beer & Petersen, 2016; Fataar, 2018). These curricula position Western people as superior individuals who seek to help disadvantaged non-Westerners, the latter who are weak, helpless and dependent, and cannot survive without aid from Western philanthropists. In this paper, the call to re-orientate curricula away from knowledge systems which have been used to devalue indigenous African people by making them the “Other” in the country of their birth, is heeded. 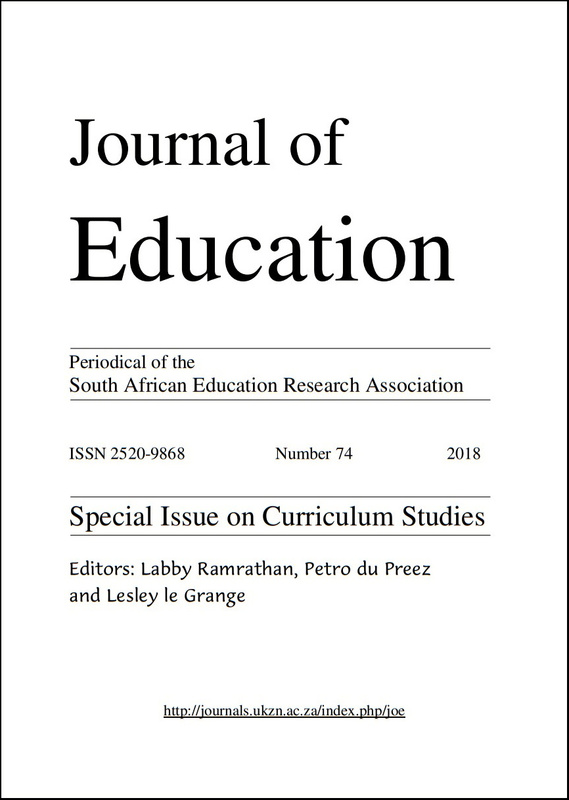 This is done by creating an opportunity for practicing teachers (who were part of a postgraduate module and included teachers of different races) to reconceptualise the current school curriculum, by placing African learners and their contexts at the centre of teaching. In this qualitative study, 20 practicing teachers were purposively selected to draw on their own visions and talents and those of their multi-racial learners within their contexts, to develop possibilities for indigenising the teaching and learning of mathematics. This was aimed at decolonising the mind by transforming teachers’ understanding of themselves and encouraging them to tap into their critical thinking and analytical skills when examining the current school curricula. To accomplish this, teachers studied the Curriculum Assessment Policy Statements (CAPS) in mathematics, and developed units of work aimed at valuing indigenous knowledge. Data was drawn from teachers’ portfolios of evidence, which included photo-narratives and reflections on the unit of work. Thematic analysis was used and the findings revealed that teachers and their learners tapped into resources within and outside the school, and engaged in work that was responsive to their own needs. However, the exercise demonstrated that these teachers found it difficult to emerge from the comfort of the factual mathematics they taught to include indigenous links from contexts around them. They attempted to produce contrived associations with the knowledge from the Curriculum Assessments Policy Statements.